The tide was a little bit strong for the Porgys to bite this weekend. 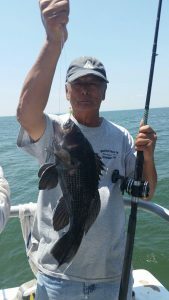 So Captain Tony headed offshore Saturday and Sunday and pounded on the ling. 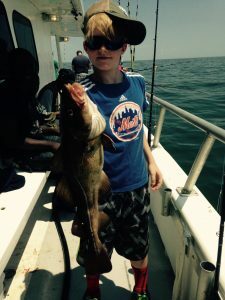 Andrew banged out a 12 pound cod on his 11th birthday day Saturday! 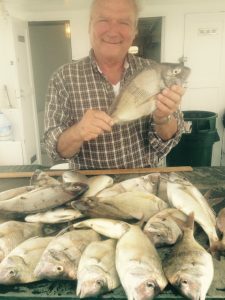 We have also been catching many Seabass that have been released, and we are looking good for the Seabass opener this Wednesday, July 15 at 7 AM! 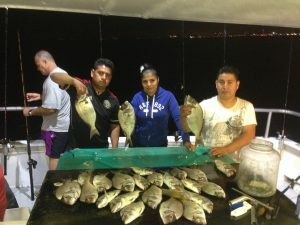 The porgy fishing was very good open till Friday of last week then it slowed down a bit over the holiday weekend. 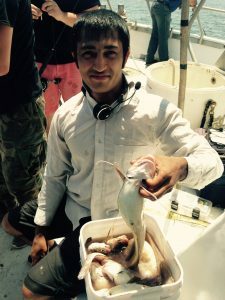 The fishing pick right back up again Monday and Tuesday. We have been targeting Porgys from 7am -3pm and 7pm -12am everyday.